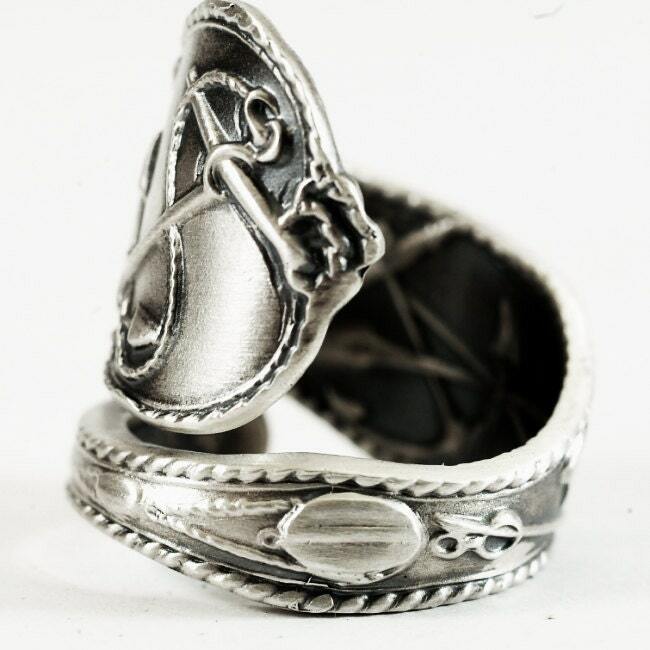 Nautical sterling silver spoon ring with amazing 3-d detail and an adjustable ring size! 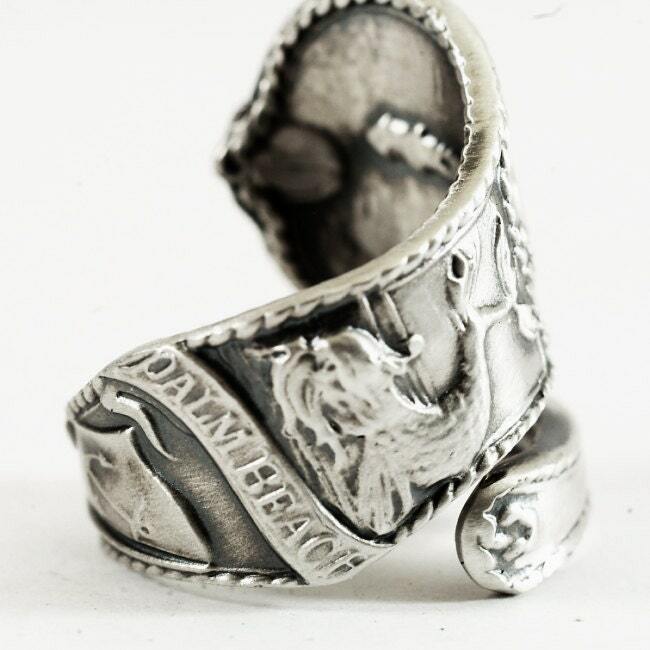 Includes a detailed Anchor and rope, fish in water above a scroll reading 'Palm Beach' followed by a flag with another Anchor with a pulley. 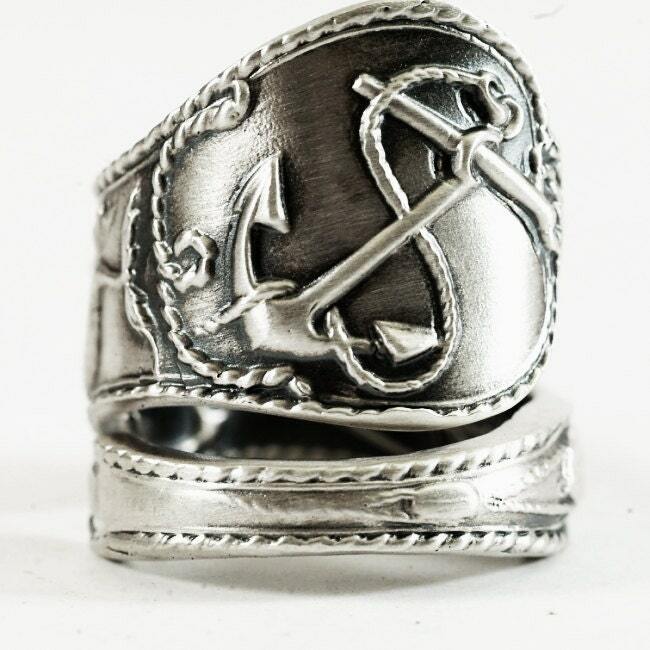 A peaceful lighthouse scene is on the inside of the ring followed by another anchor and paddle and ending with a tall evergreen! Totally unique, beautiful and sturdy piece! 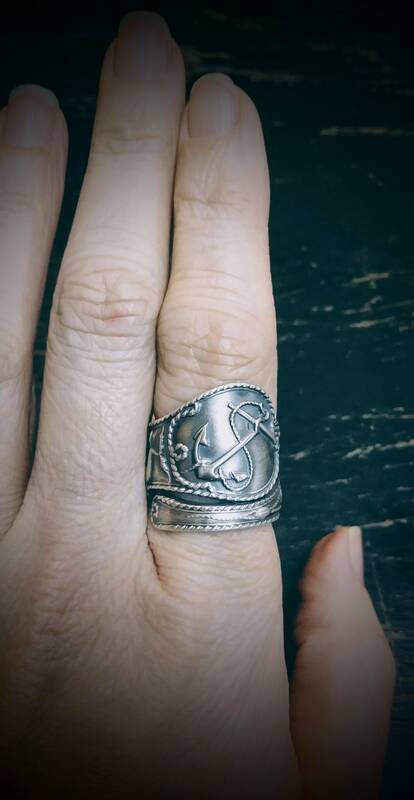 This particular ring is actually a casting we made of a hard to find spoon that was just too cool to only have one in our shop. 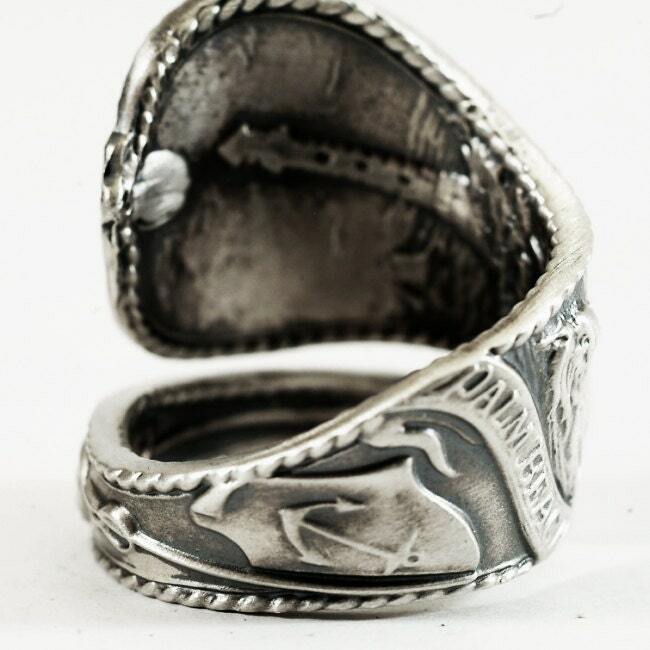 We make our castings from the bowls we cut from the antique sterling silver spoons we make into rings. 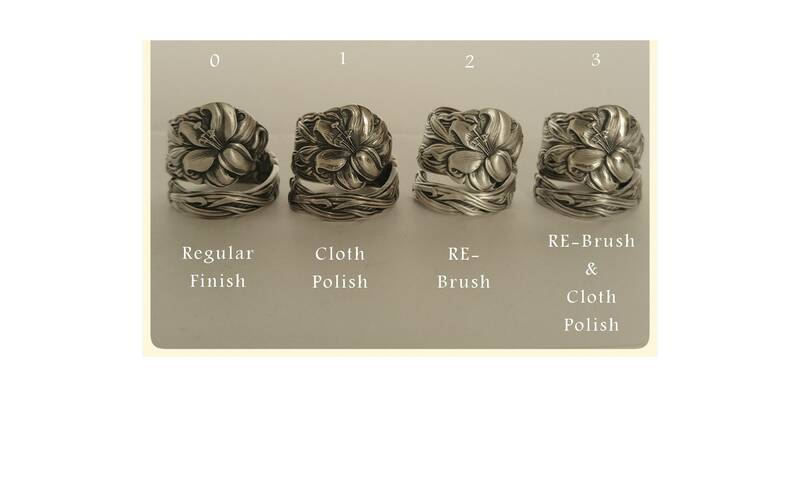 It's a great way for us to up-cycle and keep the sterling spoon silver in one of our favorite spoon pattern forms. 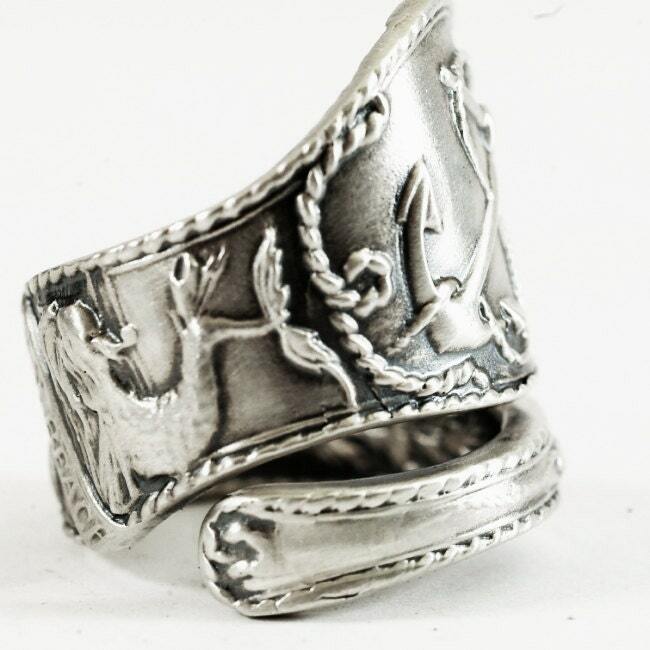 We hope you enjoy this pattern as much as we do!